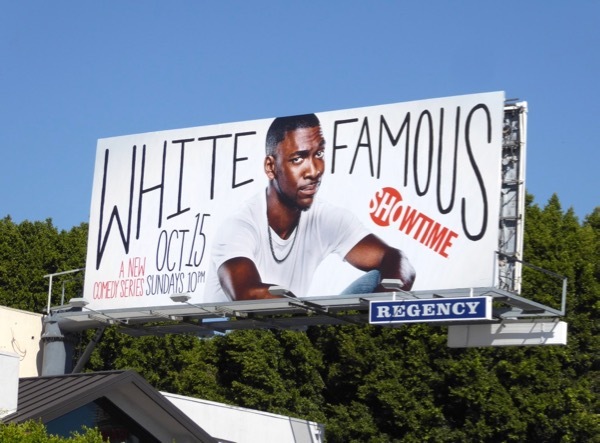 Now here's a new show that is sure to get all those Alt-Right crazies even more wound up, Showtime's new comedy, White Famous. 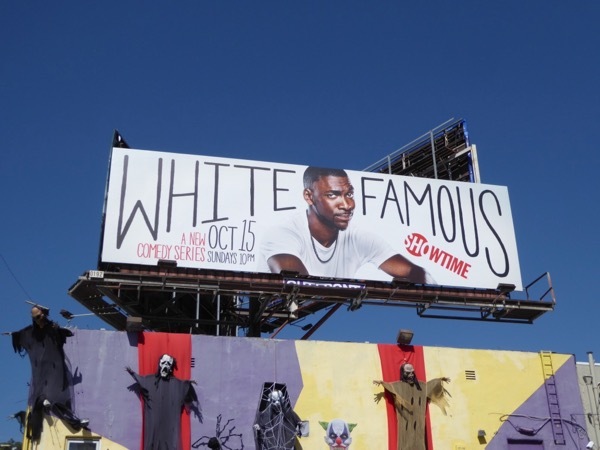 Saturday Night Live alumnus Jay Pharoah stars as African-American stand-up comedian 'Floyd Mooney' who's on the cusp of break-out fame in Hollywood, but doesn't want to feel like he's sold out. 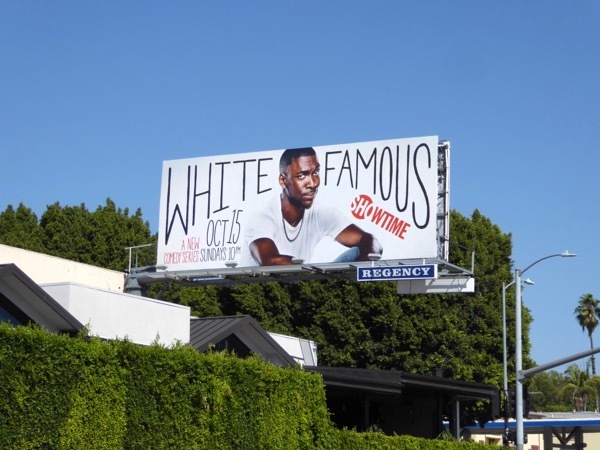 As his agent explains to him, 'White Famous', is a fame so singular it obliterates all ethnic boundaries, like with Obama, Tiger Woods and Will Smith. 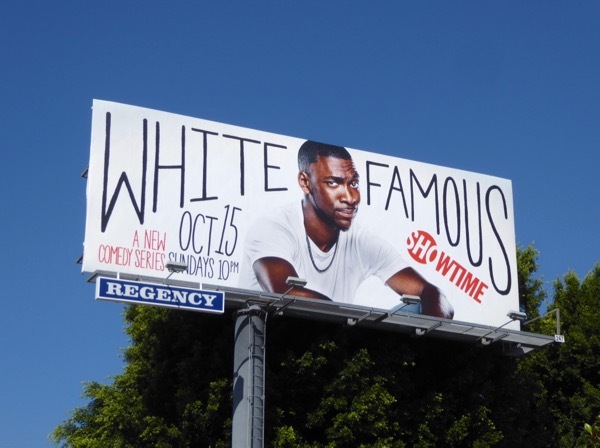 The path to stardom can be a minefield, take it from someone who knows, as this new comedy is inspired by the working life of Jamie Foxx, who also stars in and executive produces the series. 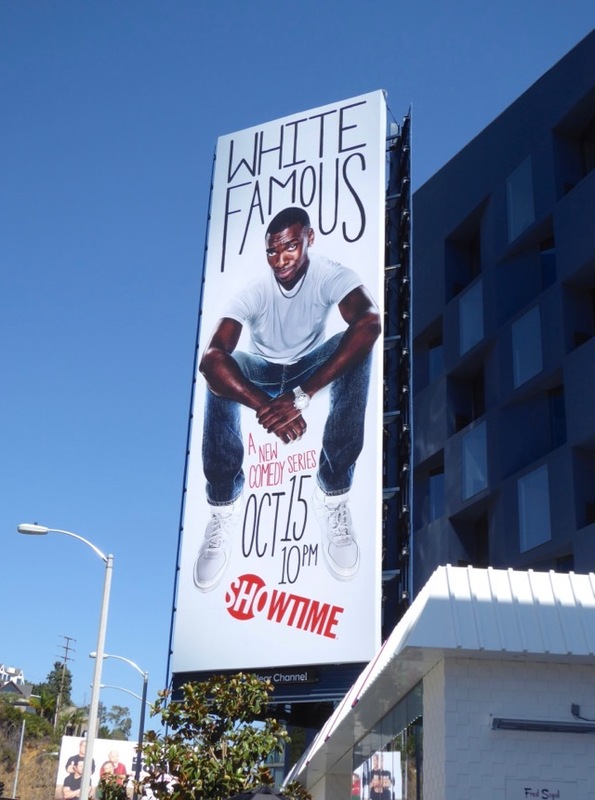 These series premiere billboards were photographed along West Hollywood's Sunset Strip from September 25 to October 4, 2017. 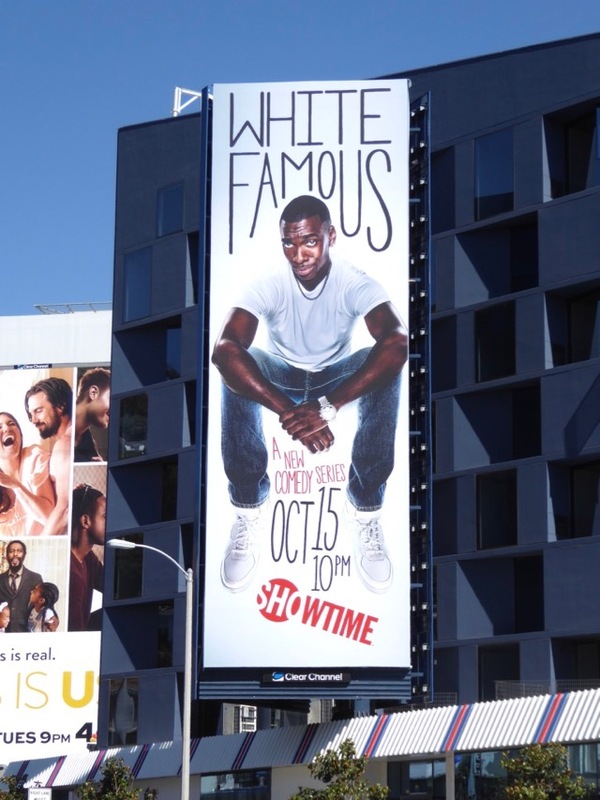 Regardless of whether Floyd Mooney becomes White Famous, let's hope this is one comedy that is actually funny, as we could all use a good laugh in these uncertain times.